Where shall I put my cash for four years? With ratings agencies Fitch and Standard & Poor’s downgrading South Africa’s credit to “junk” status, the sacking of Pravin Gordhan as finance minister and the economy producing negative growth for two consecutive quarters, it’s hardly surprising that we are now going through a technical recession. A technical recession is a tough spot to get out of and as such, experts aren’t willing to predict how long it will last. John Loos, household and property sector strategist at FNB, points out that we’ve been through this super cycle of stagnation before – in the 1990s and in 2007/2008 – and that these lows can last as long as a decade. What’s more, South Africa has run out of “stimulus ammunition”. “We’ve had a consumer and housing boom which resulted in the household sector becoming more indebted. The other stimulus before that was the end of boycotts and sanctions and normalising of trade with the world, which supported economic growth for a while. The third stimulus came from government cranking up its debt to GDP ratio and that kept economic growth going for a while,” said Loos. We’re facing structural impediments to our growth and a large part of that is down to the lack of jobs. “We don’t compete well on labour relations globally, a huge part of the population is not employable and the basic education system is not changing that in a hurry. We have various structural constraints and the solutions to those problems are long term, not short term. So it’s difficult to say that next year will be an upswing. We do have upswings from time to time but nothing obvious that will take us out of this stagnation,” adds Loos. 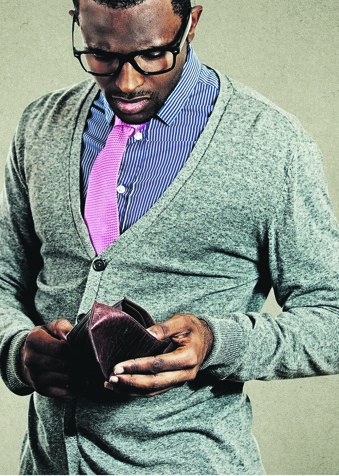 With South Africa’s growth prospects in the doldrums and the potential for interest rates increasing, what should we, as consumers, be doing to shield ourselves and our finances as we head down this gloomy road? While jobs are few and far between, the key is to stay ahead of the pack and keep yourself informed and up to date with the latest technological advances. This will help to ensure your job security. “A small group of high-income people are taking a bigger percentage of the income pie as more jobs get automated and the middle class can’t provide as much value as they used to. So for all of us, upskilling is crucial in the workplace, otherwise you’ll get left behind,” says Loos. “In 2008 when South Africa was in a recession the people who listened to the advice on getting out of debt as quick as possible were able to ride the storm. Food, transport, all goes up and you’ll be able to field the increase in these costs and it will be a lot easier. We must be mindful of how we use money. Start cutting out luxury expenses and start entertaining at home which is cheaper,” says Winnie Kunene, money coach and trustee of the board of Truth About Money – a 1Life initiative. If you can’t get rid of your debt, at least contribute more to paying it off sooner. “If you have a R1 million bond, you’ll pay around R10 552 a month. If you pay an additional R500 per month into your bond you will pay it off in 17 years instead of 20 years. The interest and payments saved will amount to R233 500! This is investing in yourself,” points out Floris Slabbert, country manager at Ecsponent Financial Services. You could run for the relative safety that cash, American dollars and gold could bring. Gold is a traditional hedge in times of crisis and if you invest your money in a high interest bank savings account it would be one of the least volatile ways of earning returns. But Simon Shear, co-founder of finance site My Treasury, warns that you may miss out: “The JSE has averaged 15% annual returns over the last 20 years, but if you’d missed just 75 of the highest trading days over that period you would end up making nothing,” he says. So shield your money if you need to but don’t stick it all away in safe investments. If you do have to spend money, the consensus is that you should be careful what you spend it on. Gone are the days where you could afford to be loyal to one brand or service. “To use a travel example, you might be in the habit of always going to one airline, or one hotel, that you know well. But have you shopped around to see if there are equally good or better options out there that cost less? The same is true for things such as insurance. It definitely pays to compare,” says Pieter Richards, chief financial officer of low-cost airline FlySafair. When you borrow money you’re often charged for “credit life insurance”, which covers you in the event that you are unable to meet repayment commitments. This cover can cost as much as R57 per month for every R1 000 spent, so don’t forget that you have this insurance as it can provide a vital lifeline. Sasha Knott, CEO of credit life insurance company Switch2, says: “Theoretically, credit life insurance policies pay out in the event of death, disability, terminal illness, unemployment or other insurable risks that prevent customers from earning money or paying their committed monthly instalments in terms of the credit agreement. “However, because many consumers do not understand what credit life insurance is, there are too many instances where they cannot pay their monthly accounts, but do not claim from their policies. This leads to goods being repossessed and consumers receiving a black mark against them on their credit records in situations where it should never have happened,” she says.